A lot of parents are interested in getting their child into the gifted program. 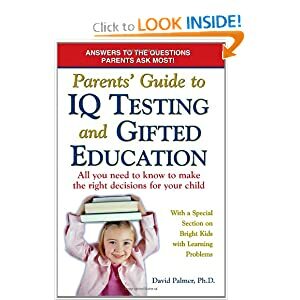 To help parents understand more about gifted program and what it takes to get your kids there, here are some useful tips as follows. First, not all kids are the same, some kids are talented in math while others are very good at social interaction. I think as parents, we should encourage kids to pursue their passion and provide guidance and help, but we shouldn't demand them too hard on something they are not just passionate about by nature. It is a tricky balance to maintain but a parent-guided approach is the best. Every child is born with a unique gift. Since the gifted program is heavily oriented towards math and logic, not all kids can go into gifted program. But that doesn't mean the child is not gifted. Don't get discouraged. This is just like, the life achievement for a person only depends on very small portions of his/her IQ, but largely depends on persistence and passion. Gifted and Talented Program Sample Questions and Answers for your reference. -Test time is 2 hours, there are 6 sections in the test, each takes about 20 minutes to complete. -For verbal and quantitative sections, the teacher will read the questions to the students. Students will choose an answer in the answer sheet. -For non-verbal section, students see 3 pictures and choose the next picture in the pattern from 4 choices. -Test time is 2.5 hours with breaks between sections. -Students read the questions themselves. -All questions are multiple choice. The sections are timed. -Students mark their answers on an answer sheet that can be read by a computer. These are questions that appear on gifted tests across the USA for kindergarten through third grade. They test visual-spatial reasoning, cognitive skills, memory and comprehension. Also, below are two good links that contain another set of sample gifted test questions. The author (pen name Susulin) is a parent of the gifted class. He also wrote an English/Chinese bilingual white paper documenting his thoughts on elementary gifted education and best practices for parents. i need my child to be in gifted! I totally understand and do hope so! One thing to note is that the gifted program is a type of specialized educational program. It really depends on your kid, if he/she doesn't enjoy that, it could be a real drag. As a teacher in the gifted program pointed out, as the students progress to higher grades, they are getting increasing workload. The reading could be a lot, and math could be a lot too. So, if you want your kid to be in gifted program, other than pushing hard, the child also needs to be ready for that. I am a current gifted student and my experiences in the program have been phenomenal. Not only have I made some great friends within my teachers, but I spent all of my time with other kids just like me. Not to mention the memories within the things I learned. Thanks for your thoughts. I guess to any person, the gifted program is once in a life time opportunity. It will open the doors to many wonderful careers down the road. Also, pretty much reading and math are the MOST important two aspects of the gifted program education. I can see why that's the case. Most high paying careers require a strong math background, just think about engineering, science, marketing, etc. All of these are future growth areas and all of them requires a high level of math competency. Highly successful people tend to read a lot and take in knowledge like a sponge. By reading books, you get condensed experience/tips from other successful people, and thus could avoid a lot of mistakes and be even more successful. "Gifted/highly capable students are generally defined as 2+standard deviations above the norm depending on the test used. For the CogAT = 132 is considered gifted. As reference, Bellevue School District currently uses 132 as the threshold for receiving pull-out gifted services in grades 3-5, a similar level on multiple measures to qualify for in-class services in literacy for grade 2, and 144 to be eligible for the self-contained classroom or full day curriculum option in grades 2-12." My son loves these Murderous Math Series books, they are very good to enlighten your kid's intellectual ability as well as having fun. The books could also be good for adults as well to enhance their mental ability. 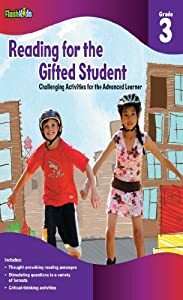 The book mentions various gifted education programs, and how those programs may or may not serve your gifted child. Also the disadvantages to being gifted. It also talks about the common sensitivities of the gifted child, and the possible effects on the child's self-esteem. 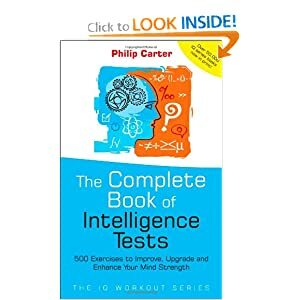 The Complete Book of Intelligence Tests: 500 Exercises is another great resource for parents and teachers looking to challenge and stimulate their bright, creative, and inquisitive kids. 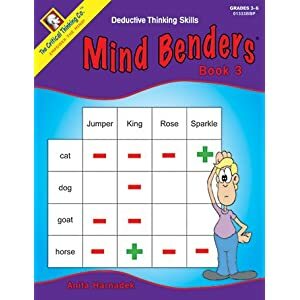 Mind Benders Book 3 by Critical Thinking Press, is a good book on deductive thinking puzzles, logic and reading comprehension, as well as mental organizational skills. 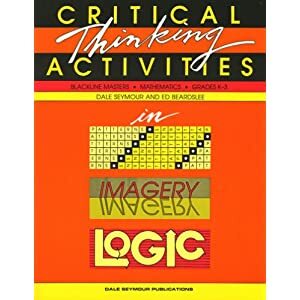 CRITICAL THINKING ACTIVITIES IN PATTERNS, IMAGERY, AND LOGIC GRADES K-3 This book is good exercise book for CogAT test. 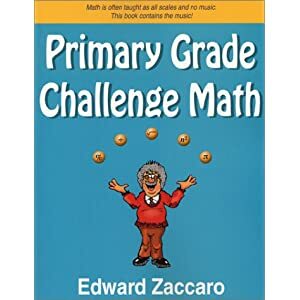 Primary Grade Challenge Math this is also a nice book for math. 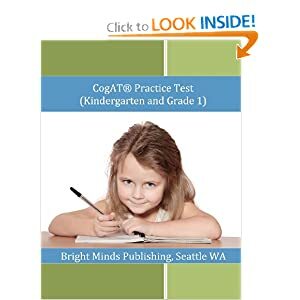 Cogat Practice Test (Kindergarten and Grade 1) This book has 5 stars reviews. 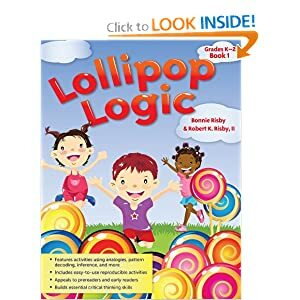 Lollipop Logic: Critical Thinking Activities This is 4.5 stars reviews. good book for your kid's mind. my daughter is smart enough to be gifted she should be gifted. Gifted program is definitely worth it. I think especially the aspect of encouraging creativity is super important. Well, good luck. I suggest you keep doing logic puzzles because reading and math weren't that big on the test. 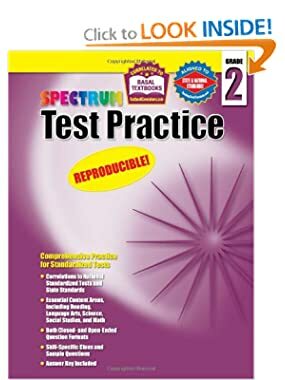 This workbook is very good to help students learn strategies for effective test preparation. The lessons in this book cover essential content areas, including reading, math, language, science, and social studies. Very Good problem solving and Questions phrasing. If you kids are very smart, then you can give him/her a higher grade test. 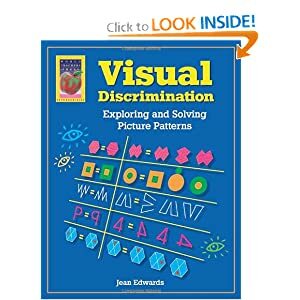 Visual Discrimination: this book helps students study the relationship between two pictures and then use this information to solve a corresponding problem. 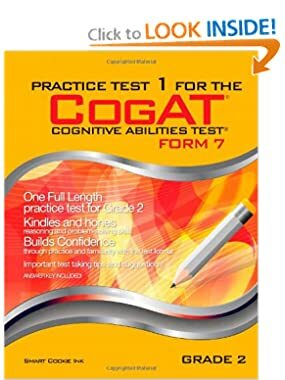 If your kid needs to prepare CogAT test in school for gifted and talented student test, it will definitely help nonverbal section (figure matrices, figure classification). Reading for the Gifted Student These set of books are for kids from Grade 1 to Grade 6. They can provide enough challenge to any gifted kid. 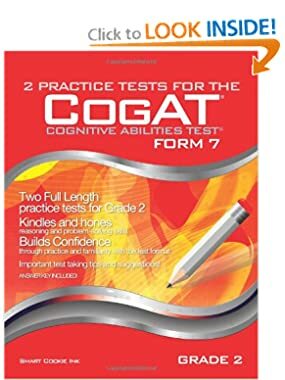 Practice Test 1 for the CogAT - Form 7 - Grade 2 (Level 8) This is a whole practice test for CogAT, Grade 2. TWO FULL LENGTH Practice Tests for GRADE 2 This one got two tests, if you want your kiddo practice more, then you can get this one. 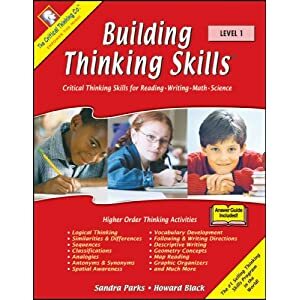 Building Thinking Skills® provides highly effective verbal and nonverbal reasoning activities to improve students? vocabulary, reading, writing, math, logic, and figural-spatial skills, as well as their visual and auditory processing. This exceptional series provides a solid foundation for academic excellence and success on any assessment test. my son was just given the test at school he scored 98 in quanitive 95 in verbal and 90 in non verbal he has been accepted into the gifted progam in indiana. Congratulations! I guess hard work and due diligence to help with your kid helps. 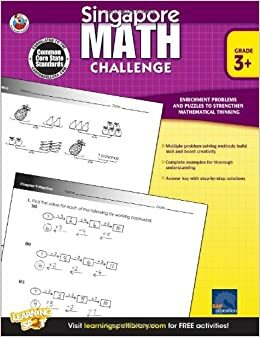 If your kiddos need more challenging on math, you can think about Singapore Math Challenge Grades 3 - 5, very nice Math workbooks. It has multiple problem-solving methods, interesting examples and clear answer keys. Tricks in addition and subtraction; tricks in multiplication; excess-and-shortage problems; digits, numbers and multiples; perimeter of squares and rectangles. good books for Third graders.